Disneyland Paris, the “magic kingdom” of entertainment for adults and children alike, is the most popular touristic attraction in Europe, with a record of 265 million visitors in its 20 years of existence. Populated with all the Disney characters and their homes, this 55-hectare resort offers 2 theme parks (Disneyland Park and Walt Disney Studios Park), hotels, restaurants, the Disney Village shopping district and everything that one could possibly want from a small city. Fantasyland – The Fantasyland castle has become a landmark of Disney. Made of plastic, it nevertheless impresses through its dimensions and bright cartoon colors. At night and during holidays, its bright lights renders a magic view. In the castle you can find the Dragon Cave, where you can admire one of the best Audio-Animatronics of Disney, the sleeping dragon. Disney Characters – The cartoon characters are always walking around the park and are available for pictures. If you want to meet a specific character, ask at an info point or go to the Disney City Hall to arrange a meeting. Although there are several ‘clones’ of the same characters in the resort, the administration make sure that you won’t see two of them at the same time and place. On the info boards in the park you can check when the parades with the Disney and non-Disney characters are taking place. Shows – Disney Paris offers several stunt shows, interactive shows, circus shows and special effects shows. Some of them are not included in the price of the ticket. Among them are: the Lion King, CineMagique, Tarzan, Moteurs! Action, Honey I Shrunk the Audience, Armageddon Special Effects, Animagique and Buffalo Bill’s Wild West Show with Mickey and Friends. Rides – The most spread attractions in Disneyland Paris are the adventure rides. Among them are It’s A Small World, Phantom Manor, Indiana Jones and the Temple of Peril, Rock n’ Roller Coaster starring Aerosmith and many others. The most popular one is Pirates of the Caribbean; this ride is on water and the pirate ambiance that it creates is very thrilling. All rides involve a thematic adventure combined with music, speed, obstacles and adrenaline. Shopping – The main street going through the center of the resort, Main Street USA, offers a wide variety of merchandise, from memorabilia to costumes for all pockets. There are other shops around the site as well, such as Disney Store 1 in Walt Disney Studio Park and Disney Store in Disney Village. Overall, there are 62 shops in Disneyland Paris. The opening times fluctuate depending on seasonality; to find out the schedule of the resort at the time of your visit, check their website. For a more detailed look at the whole area, there’s an interactive map on the official site. Best Time to Visit – Disneyland Paris is known to be very crowded almost all the time, which takes a bit out of the experience. However, there are times when you don’t see as many people there as usual. Weekdays outside holidays are usually less crowded. The best months to visit the resort are May, June, September and October. In terms of weather, June is the sunniest month among the 4. During these periods you can also find cheaper deals. Fast Pass – In order to avoid the long queues, all you have to do is scan your ticket at the attraction’s counter and receive a time slot for when you want to go there. That will enable yo to skip the queue. Baby Switch – Small children can skip the line and go directly in front. However, they can be accompanied by only one parent. Free Shuttle – If you prefer not to walk around the resort and have specific objectives in mind, you can take the free shuttle provided by Disneyland Paris within the site. Accommodation – There are 7 hotels in Disneyland Paris. They have Disney themes and are suitable for both businessmen and families, offering different qualities and styles. Other hotels, situated farther from the resort, are also available. You can book a hotel here. Food – The 58 existent restaurants are also very diverse, from fast food venues to lavish restaurants. However, here, even fast food is more expensive;Disneyland McDonalds has pricier products than in any other of its restaurants in France. 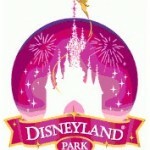 Train (Best Option) – The train is the best option to get to Disneyland from Paris. You can take RER A4, the Thalys or the Eurostar train to the Marne-La-Vallée/Chessy stop. The trip takes 35 minutes from Paris city center and the ticket costs approx. EUR9/one way. The Eurostar travels internationally. If your ticket includes the Disney Express Service, go to the Disney Express stop when arriving in the station and your luggage will be transferred directly to the hotel. Shuttle – If you’re coming directly from the airport (Charles de Gaulle or Orly), you can take the VEA shuttle bus directly to Disneyland Resort Paris. The trip takes 1 hour. The bus ticket costs EUR17 for adults and EUR13 for children (3-11yrs.). Disneyland Paris was built after the Walt Disney World in Florida, the first resort of this type, which opened in 1971. 2 years later, Tokyo Disneyland emerged and enjoyed a massive success. Disneyland Paris was first opened in 1992 under the name of Euro Disneyland, creating chaos by bringing a huge number of visitors. The initial theme park was Disneyland Park; in 2002, Walt Disney Studios Park was added to the resort, focusing more on show business. Although throughout the ‘90’s, Disneyland Paris faced financial difficulties, it managed to overcome them with the help of foreign investors. Jobs – Disneyland Paris takes pride in having employees of over 100 nationalities, speaking 20 languages. They organize talent castings all over the world for people who want to work for them. You can find out more about their job opportunities here. Controversy – The opening of Disneyland in Paris was highly criticized by the French society. They feared that Disneyland will bring to France the same type of consumerism that exists in USA. At the time, people organized protests and journalists militated against it through their writing. 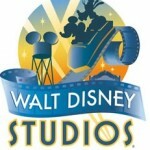 Audio-Animatronics – The robotics used in Disneyland Paris was created by Walt Disney Engineering. The interactive and innovative technology they used for it was trademarked by Disney. The Real Disney Castle – The emblematic Disney Castle was designed after a real castle, that exists near München, Germany and is open for visits: the Neuschwanstein Castle. I took a group of my students to Disneyland Paris and they LOVED it! If you are going in a large group have a look online or contact the travel agents (European Study Tours were great) as they do good deals. The park is easy to access by bus and easy to navigate once inside. Tip: The park and souvenirs can be pretty pricey: the food at Planet Hollywood (a popular restaurant) was around £12 for a sandwich and £18 for a burger – not including fries and a drink. Disneyland in Paris is very expensive, but amazing! It has so many attractions that you will need few days to try all of them! Clean , colorful and unforgettable for all of us, especially my kids ! I went to Disneyland Paris last year. Everyone should visit Disneyland! I felt like a princess, I wanted to dress and run to the castle. All done with great difficulty and love, beautiful to the point of insanity! The price is competitive. For all the work, service and atmosphere, 5+!!! I went to Disneyland Paris last May 2017. The park was so magical and lovely! Aside from all of the attractions, I most definitely enjoyed their shops. They sell better merchandise compared to Disneyland Hong Kong, Disneyland Tokyo and Disney Sea Tokyo. The only negative thing I can say about my visit to Disneyland Paris is that the more affordable food options close early (around 5 or 6pm) so you have to spend extra for dinner if you want to stay for the fireworks. It’s hard to believe, but finally, I returned to the Park after 15 years, this time with my hubby and kids. Lots of fun for all of us and awesome rides. So much to see and do. You never grow old at Disney. I love a roller coaster! I have visited Disneyland Paris many times and each time has been as magical as the last. The park has a European American feel which is an unique mix. My favourite is Main Street in Disneyland Park. I love wandering the shops along Main Street where hot dogs and ice cream keep the children happy. Walt Disney Studios Park is amazing too and filled with action. Be prepared for queues at times which adds to the bustling fun feel. It’s all about the atmosphere at Disney so take your time and let it all soak in. We took a day trip to Disney on a recent Paris vacation. It was a pleasant mid trip break from Museums and history. Disneyland Park Paris is the No.1 of theme parks in EU. The park is extremely picturesque and photogenic. And it really has the feel of an actual park. There are lots of mature trees, beautiful flowers, and some beautiful water features. TIP: The daily parade at 4pm is EXCELLENT and you want to pick a good spot on Main Street from around 3:30pm so that you can have an excellent view. I haven’t been to America’s Disneyland but this still blew me away. Despite having no interest in Disney films I loved this theme park, and we visited it for two days and still never managed to see everything. There aren’t that many rides but the ones they have are really good – just be prepared for long queues (30 mins plus) for the most popular in peak season. The grounds are amazing, the themed areas and buildings are really well done and there are daily events of all kinds. Lovely parkland too. Definitely worth a visit – tickets are pricey but well worth it, you can stay all day and really get your moneys worth!